Home / FAQ / Where can I compare the cheapest health insurance plans? With more and more Americans needing health insurance plans in this difficult economy, the need for low-cost or free health insurance coverage is growing. For people that do not have a job or work for a company that does not offer health insurance, it can be extremely difficult to afford certain health insurance coverage. However, there are places where you can find free or very low-cost health insurance plans. It is easy to find health insurance quotes in your area. Just simply enter your zip code in the box above to get started. When searching for low-cost health insurance plans, be sure that the plan you are considering is offered in your state. It is important that you consider all the alternatives and make sure that the plan you are considering is appropriate for you and your family. Is there a government program that offers free or low-cost health insurance plans? One of the first places to look when considering low-cost or free health insurance plans is Medicaid. Medicaid is a government program that assists low-income individuals and family with finding affordable health insurance. Some of the different plans offered through Medicaid include Children’s Medicaid. Children’s Medicaid offers children younger than 18 years of age with parents or a parent without health insurance many of the basic coverage necessities. 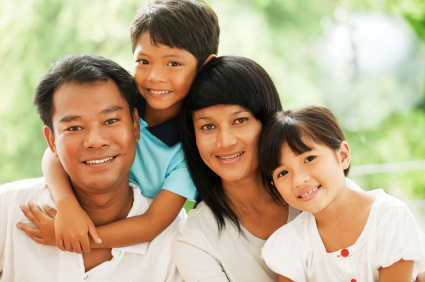 In most cases, if the family qualifies for children’s Medicaid, there is a very nominal cost or no cost at all. However, Children’s Medicaid varies by state. For example, Children’s Medicaid in New York has no out-of-pocket costs associated with it, while the Children’s Health Insurance Program in Texas can cost up to $50 a year. The best place to go to learn more about Children’s Health Insurance Plans for little or no cost is www.insurekidsnow.gov , a government website with information on plans in every state. Where can I go to get non-emergent medical treatment? There are many federally funded health clinics located all over the country that offer medical services at no charge to unemployed and low-income individuals and families. These clinics offer basic health care, including vaccinations. These clinics are only for people and their families who have no access to healthcare and are not eligible for health insurance through their employer or through Medicaid. The purpose of these clinics is to help ensure that everyone can at least get some basic medical care, and to prevent overpopulation at hospital emergency departments. In addition, free health clinics offer an overall savings to the healthcare costs in the United States since untreated individuals will end up costing more to take care of if they get severely ill rather than providing basic preventative care before they get sick. In order to find free medical clinics, you can contact your local county government and ask if there are clinics that provide basic medical care. Several websites offer information about free or low-cost health care clinics, including ones that specialize in certain diseases and conditions such as HIV and AIDS. Is there a local contact that can help me with health insurance? Depending on the state and county in which you live, the department of social services may or may not be able to offer more assistance then what is listed here. Nonetheless, it is a good place to start when trying to find health insurance. Even if they are not able to assist you personally, they will refer you to a person or organization that can help. If I don’t have health insurance, can I still go to the emergency department? Yes, as long as you have a medical emergency. Hospital emergency departments should not be used for basic medical care, and should only be for true emergencies. Still looking for help finding health insurance quotes? Enter your zip code below.